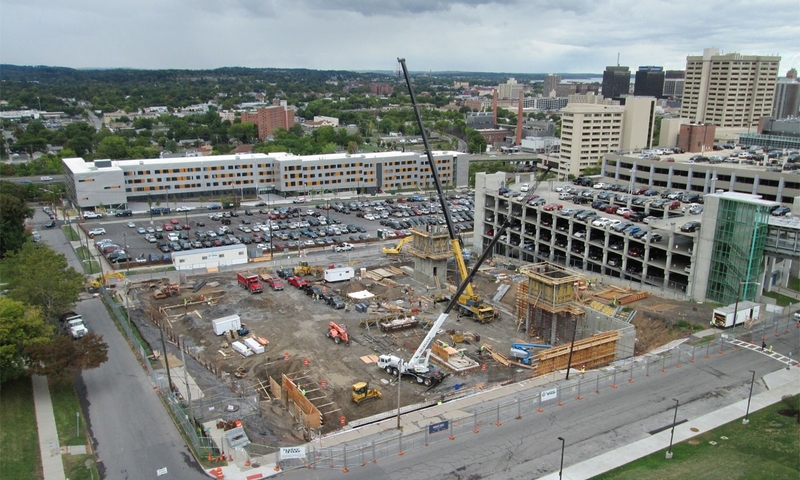 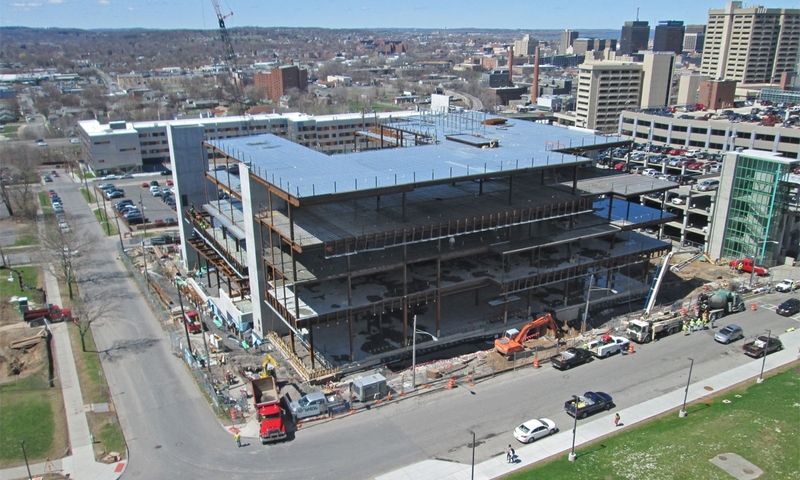 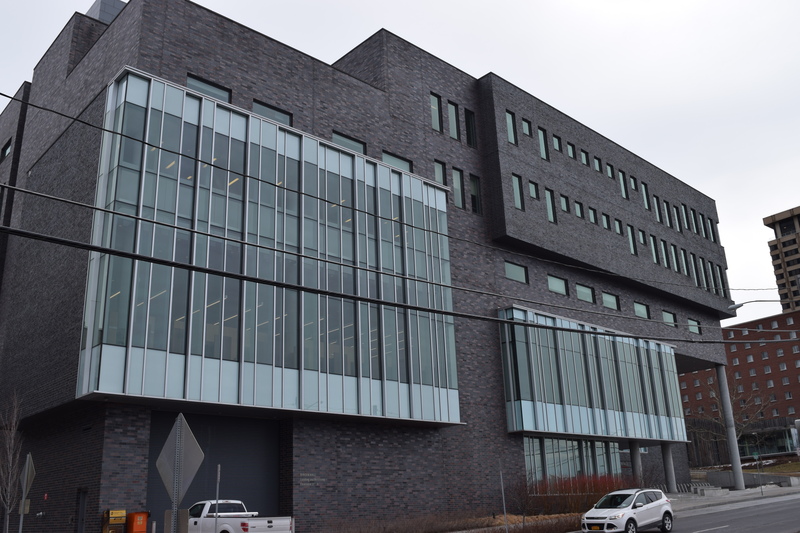 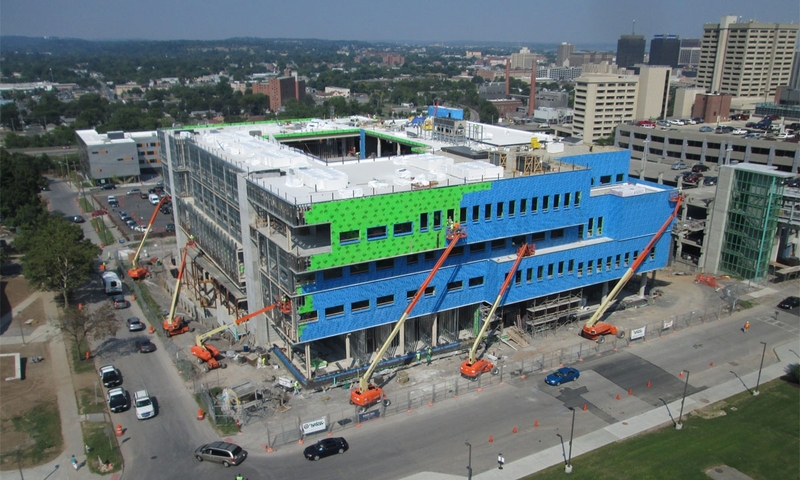 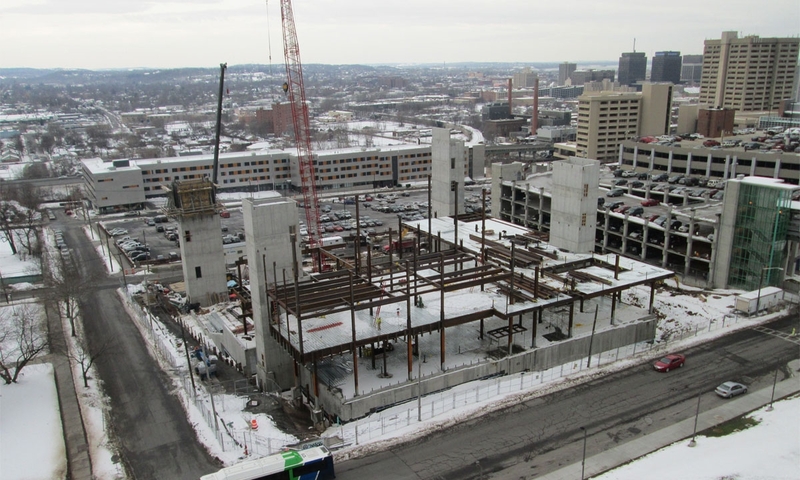 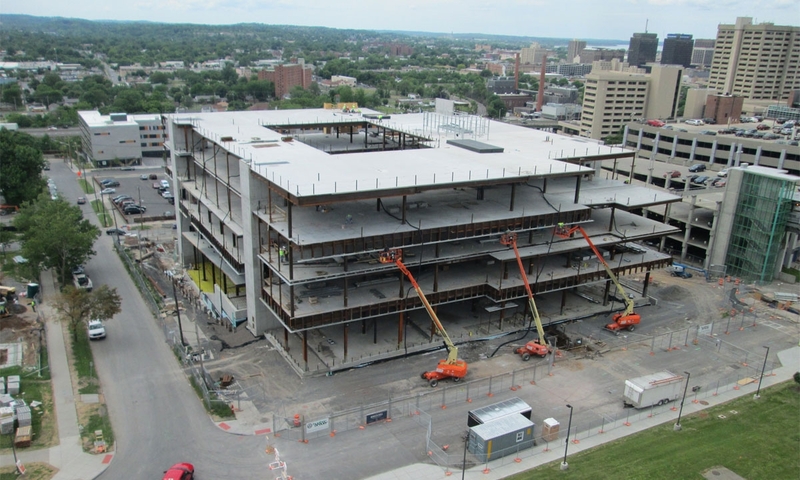 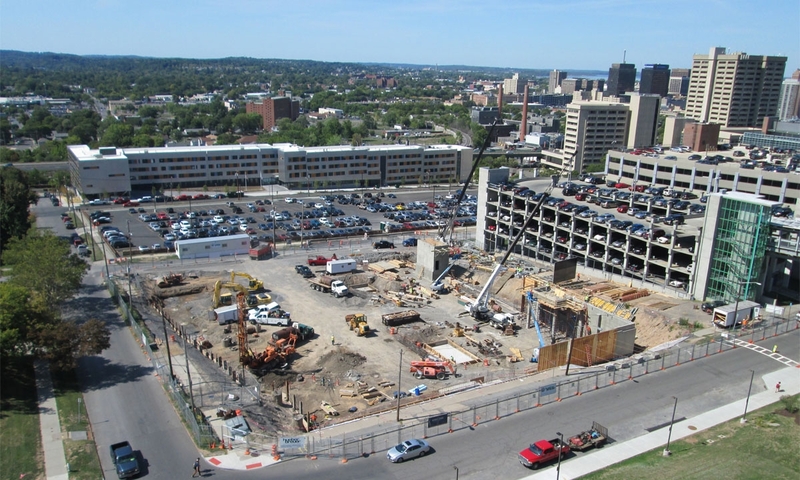 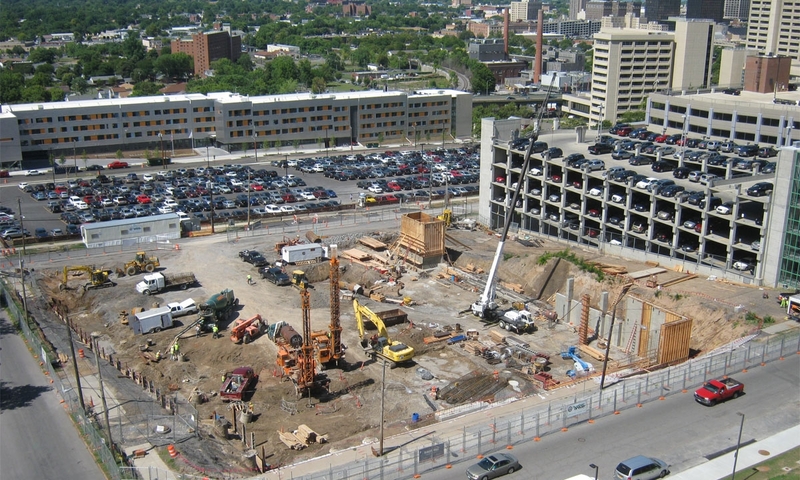 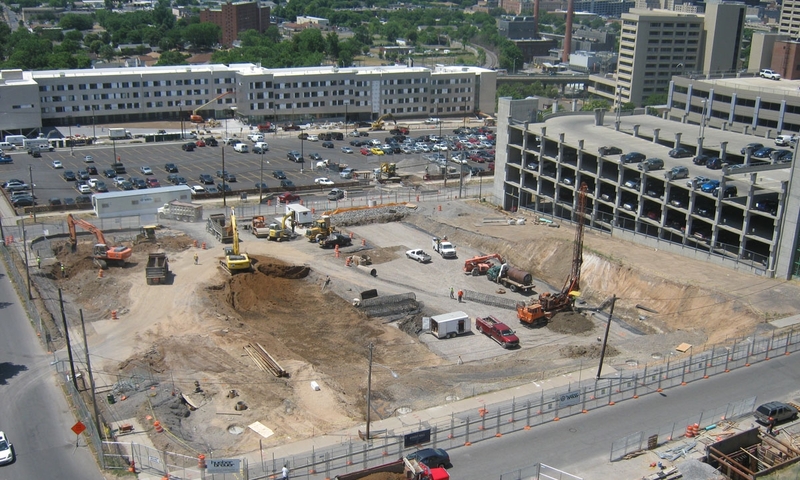 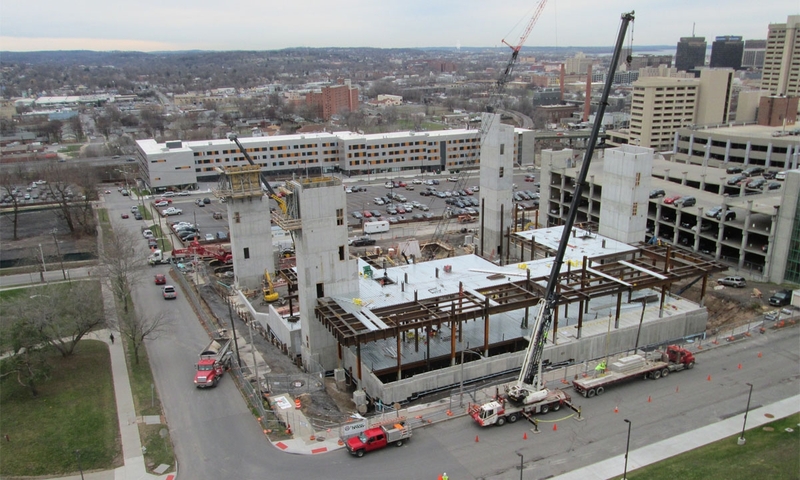 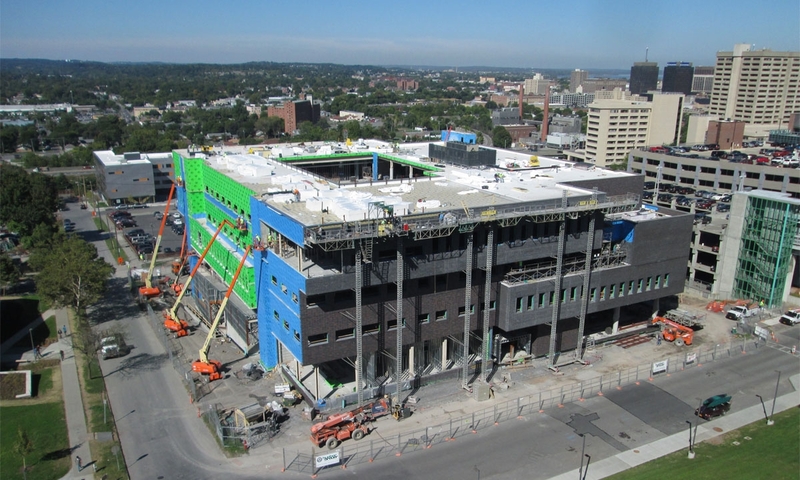 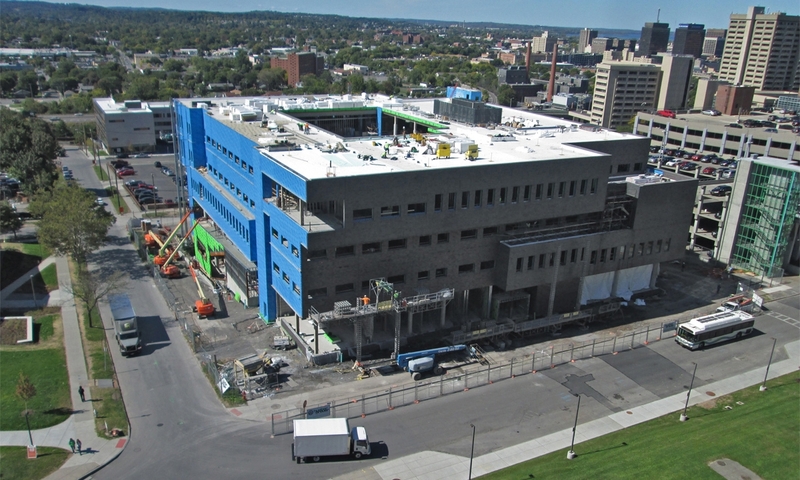 JPS, LLP is Structural and Geotechnical Engineer of Record for this new 200,000 SF five story academic building, designed by Gluckman Maynor Architects, that houses the College of Law at Syracuse University. 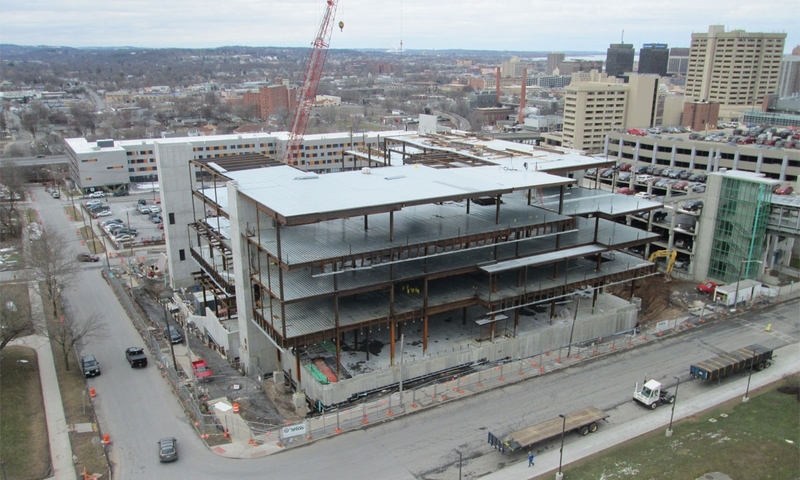 The 1,400 ton steel framed structure is supported by drilled shafts, and utilizes a combined system of shearwalls, lateral constraining drilled shafts, and lightweight fill to resist earth pressures. 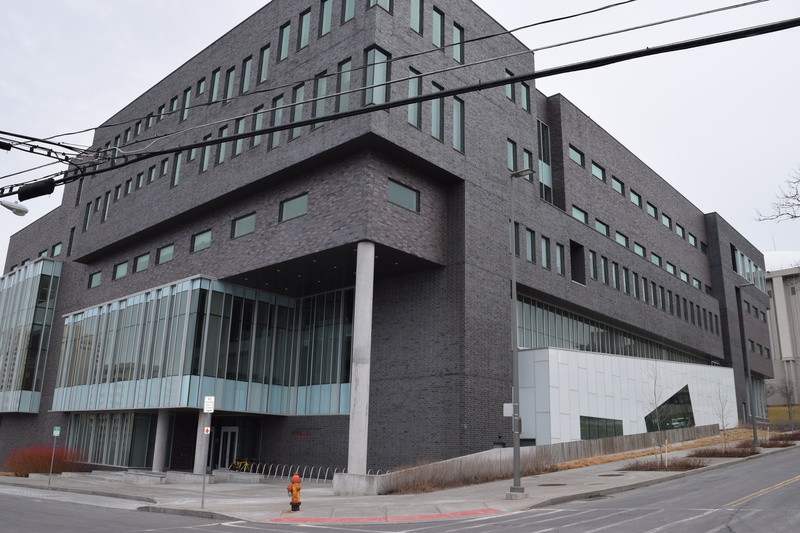 The masonry veneer is supported by cantilevered floors that have been tuned to meet expansion joint thicknesses, accounting for anticipated masonry expansion. 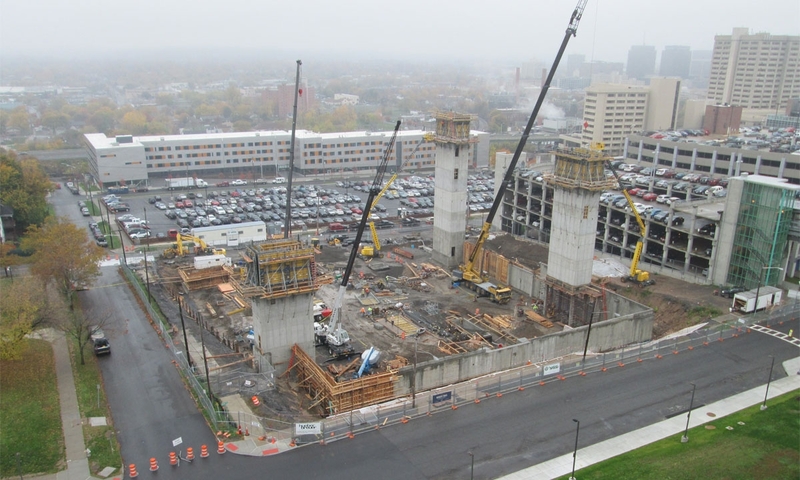 A grand stairway is supported by a central concrete fin wall that is free standing for nearly 80 feet.